This week, we present destinations from Hong Kong, Cambodia, and California. In January, my husband and I made a four-day pit stop in Hong Kong on our way to India. We chose Hong Kong mostly because of its incredible food scene. From street-side stalls to fine dining, the cultural openness of the region has the potential to satisfy most cravings. Yet, there is so much more to this fast-paced metropolis than just food, tailor-made suits, and endless shopping. Here is what I recommend:First, take a ferry or cruise along Victoria Harbor. While trains, taxis, Ubers, and trams are all fair game, Star Ferry is the way to go. It is faster and cheaper than the train, but the breathtaking views of city against the shimmering harbor is unparalleled even during the day.Next, go to PMQ in Sheung Wan — the hip and eclectic neighborhood dotted with art galleries and cafes. The large, shared space showcases work from up-and-coming artists and local designers. PMQ has managed to create the physical and mental space to think and create amidst the frenetic lifestyle and often mindless consumption in the city. For me, it reinforced the importance of escaping the drill every once in awhile to let true creativity flow. 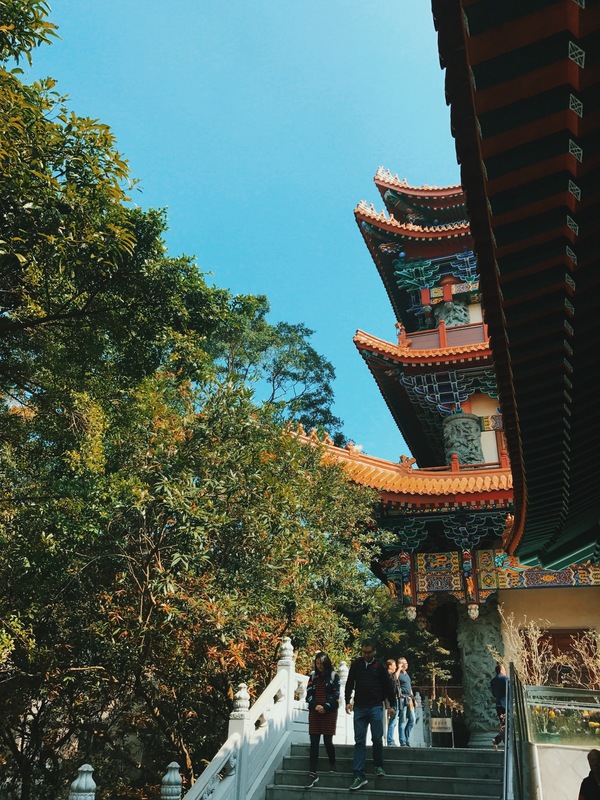 Besides the main islands, innovators should take a trip to the outlying island of Lantau to see the Tian Tan Buddha and tranquil Po Lin Monastery. At 34 meters, it is the biggest Buddha statue to have been built outdoors. The right hand, which is raised to deliver a blessing to all, brings a humbling dimension of character and dignity to the massive Buddha. Hidden away in the lush mountains surrounding it is the Po Lin monastery - one of Hong Kong’s most important Buddhist sanctums. I think time almost comes to a standstill here. The crisp January air with the fragrant smell of incense, stunning architecture, lavishly painted high ceilings, and minute carvings of Buddha make it hard not to be present. Another must see for us was Pedder Building in Central. The historic structure is now home to several galleries, including the Gagosian Art Gallery. Each floor is full of surprises showcasing the next generation of talent alongside some of the most established ones from across the globe. And when you are ready to take a break, look for the charming cigar chamber complete with a tasting room on one of the floors. I am glad to have skipped some of the much recommended touristy stuff in Hong Kong. Instead, each day we would pick a neighborhood and go explore. It is important to note that Hong Kong is not much of a walkable city with its steep terrain, little sidewalks, and not to forget—large crowds. High-rises, massive cranes, the smell of smoked duck, buzzing alleys, luxurious shopping plazas, and stunning mountain views - Hong Kong can be many things for different people. For us it was culinary journey, a walk through time, and a harmonious blend of cultures. I am going to share with you a place that most people haven’t found yet.The way of life unfolding there is so special, that I am almost scared to release it to the world wide web. 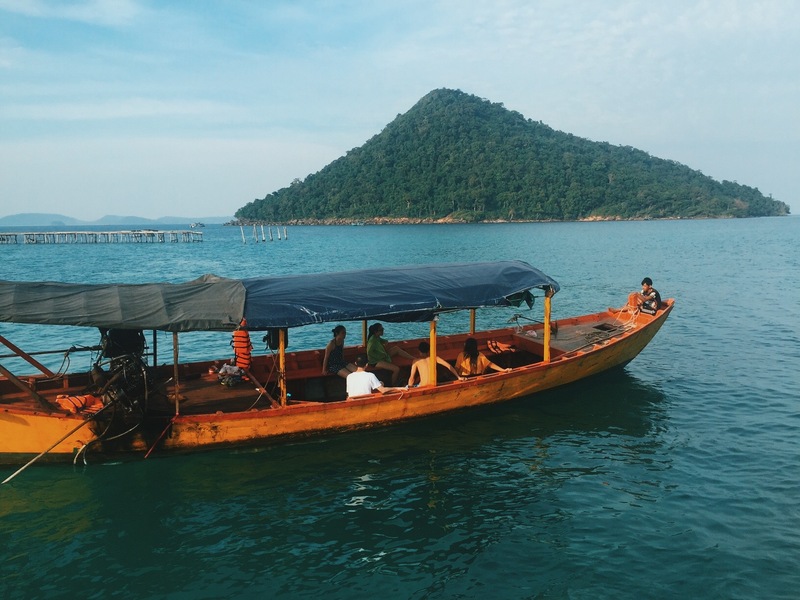 But you should know about the spontaneous experiment that’s playing out and silently, calmly taking people’s hearts with it, with or without their permission.Tucked away in a remote corner of Koh Rong Samloem, you’ll find a village contesting the status quo of what it means to open the doors to tourism. Native villagers and self-made (western) business owners weave together with a cultural cohesion that struck me as unusual. M’Pai Bai (it translates as ‘village number 23’) is hard to find. Speed boats from the mainland don’t stop there (unless you know to ask them to) and no jungle paths exist from ‘popular’ Saracen Bay (already destroyed by opportunistic business people and overzealous backpackers), and accommodation beyond a basic standard is non-existent so a whole chunk of people miss out that way too. Appreciation for M’Pai’s inherent strengths are closely guarded, keeping it firmly off-grid (no wifi for four days... I still don’t know whether I totally enjoyed that), retaining the still pace of life and somehow fostering a villager mentality in its guests – everyone says hello to each other when passing. The newcomers see things that the villagers do not, and begin a slow journey in educating the Khmer people in litter disposal (whilst clearing up damage already done, offering beer in exchange for bags of trash to anyone willing to help out), and rapidly taking action in the most pressing spots (pier businesses, who have little control over the toxins they’re pumping into the ocean are now working with an ocean charity to move in-land). One such business is The Fishing Hook, run by Susan, a Chinese/Californian who’s running something that resembles a Supper Club out of a Khmer shack built on stilts over the ocean. Every evening, she sells out of 55 ‘seats’ (floor space by a very low table) and people flock for their fill of $6 BBQ. She encourages everyone to get their fill, and then gives anything leftover to as many of the 300 villagers as she can. Every night, a community forms around those tables, with the last of us unable to stop chatting under the moonlight until long into the evening. Once the moon drops, conditions are best to see the luminescent plankton invisible by day, but fill the ocean like stars in the evening. A little swooshing in the water and they instantly come to life. Take a snorkel and mask to get truly one-on-one with them. As a working fishing village, soaking up its atmosphere is magical in itself. We prized ourselves away for a day, so that we could hike the hour and a half from the village, through the beaches, through waist-high water (no other way around) and finally through a rugged jungle trail to get to Driftwood Beach, where we had no more than six others for company on a mile-long shoreline stretch. There’s a project underway there to build lodging in the jungle that skims the beach that retains the rustic feel of the place, and conceals itself, completely invisible from the sea. One evening I fainted in the middle of the village – too much hiking in the blistering Cambodian heat with insufficient water. A local little girl from another of our favourite restaurants (the first noodle shack as you turn left from the pier, also recommend their 50c iced coffee) rushed to find Meg, an Australian nurse-turned-hostel owner to check me over, before coating me in Tiger Balm herself, rubbing my back and asking me “OK? OK?”. Her grandmother emerged some while later to treat me with some other local hard squeezing of my limbs before bringing me a soup to eat before standing up again. They both quietly slipped away before I had a chance to properly thank them, expecting nothing from me for their care. We only had two days to witness the special joy of old and new unfolding in M’Pai. Then we moved onto where we’d ‘really wanted to go’ – somewhere more upmarket, more pleasing on the eye... and it felt empty. Bare compared to the love that radiates from M’Pai Bai’s every smile, hello and measure of Tiger Balm. Please world, keep Village Number 23 safe. I recently visited the San Francisco Flower Mart with my mother. Located in the SoMa ("South of Market") neighborhood of San Francisco, the Flower Mart quietly sits in a warehouse just blocks from AT&T Park. When you enter the warehouses, you enter different world - millions of flowers, from hydrangeas to cactuses to peonies to succulents - are on display and sale. The San Francisco Flower Mart is one of five grower-owned wholesale flower markets in the U.S., and the top floral source for Northern California. The flower market in San Francisco dates back to the late 1800s. At first, flower vendors congregated downtown at Howard and 5th, but as the market expanded, it moved to its more permanent residence in the warehouses of SoMa in 1956. Innovators will enjoy this destination because of the many extraordinary, diverse, and fascinating plants on sale here. 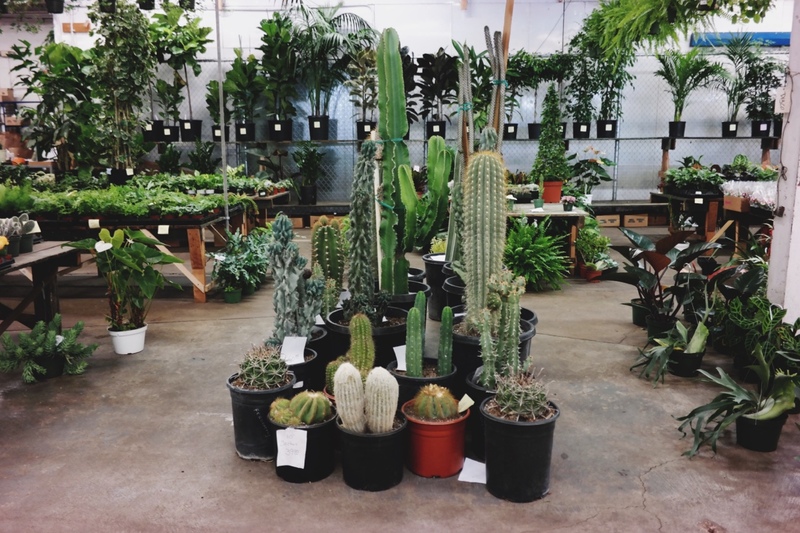 Plants native to nearly every continent live together at the flower mart - in one trip, you get to experience the beauty of many different regions. Additionally, it is one of the most sensory-filled places I have ever visited. You'll be surrounded by an unusual combination of different shades and smells that are sure to inspire. Lastly, it is a peaceful place to have a conversation. In such a busy digital world, you cannot help but put your phone away (unless you're taking photos!) and experience the millions of flowers that surround you. I recommend visiting in the morning when the market is just opening - you'll have the place to yourself, and the freshest picks.